Professor Menezes works in the fields of market design and auction theory, incentives, regulation and competition. Flavio Menezes is a Professor of Economics at the School of Economics at The University of Queensland. He was head of the School of Economics from January 2009 to January 2015. He joined The University of Queensland in June 2006, after more than a decade at the Australian National University, where amongst other responsibilities he was the Foundation Director of the Australian Centre of Regulatory Economics. Flavio was also a part-time Vice President with the Regulatory Economics and Public Policy Practice at CRA International in Canberra until May 2006 and a Senior Consultant until May 2007. Professor Menezes has a rich consulting experience. Overseas consulting includes being the main advisor on the determination of a privatisation model for utilities, reviewing government procurement practices, and providing advice on electricity regulatory reform and competition issues in telecommunications, banking, health and dairy industries. Consulting experiences in Australia include advising the Federal Government, AEMC, ACCC, IPART, QCA and the Victorian and ACT Governments on market design issues in regulatory environments and providing economic advice to various private and public organisations on mergers, competition and regulatory issues in defence, water, gambling, natural resources, energy, smart cities, banking, health, transport and telecommunications. Menezes (1996) is cited to explain low revenue in some spectrum auctions in the USA and in Europe; Menezes (1993) and Menezes and Monteiro’s (1997 and 2000) work on entry in auctions is recognised as providing important insights into market design in electricity, telecommunications, and across a range of sectors; Menezes and Monteiro’s (1998) research on pooled auctions is regarded as providing an attractive alternative design for telecommunication auctions. 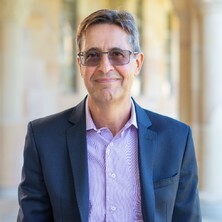 Menezes' research on market design and on regulation and competition economcis is regularly cited in regulatory proceedings both in Australia and overseas. Menezes, Flavio. M. and Monteiro, Paolo. K. An introduction to auction theory. Oxford, United Kingdom: Oxford University Press, 2008. Menezes, R.F. and Quiggin, J. C. Games without rules, Risk and Sustainable Management Group WP7R04 July 2004. Australia: The University of Queensland, 2004. Menezes, Flavio (2015). Market design for new leaders. In Philip Crisp (Ed. ), So you want to be a leader: influential people reveal how to succeed in public life (pp. 371-385) Melbourne, Victoria, Australia: Hybrid Publishers. Menezes, Flavio M. (2001). The Microeconomics of corruption: The classical approach. In Peter Larmour and Nick Wolanin (Ed. ), Corruption & anti-corruption (pp. *-*) Canberra : Institute of Criminology: Asia Pacific Press. Ergas, H. and Menezes, F. (2007) The role of competition in Australian defence procurement. The Melbourne Review, 3 1: 41-48. Menezes, Flavio (2006) Copyrights, Clean Air and Bazaars: The Economics of Market Making. Copyright Reporter, 24 1 & 2: 110-123. Menezes, F. M. (2006) Exclusionary conduct: Theory, tests and some relevant Australian cases. Competition and Consumer Law Journal, 13 3: 197-240. Price regulation in Australia: How consistent has it been? Menezes, Flavio M., Daklia, Sami and Temimi , Akram (2004) A note on duplication of R&D and R&D subsidies. Economics Bulletin, 12 7: 1-5. Ergas, Henry and Menezes, Flavio M. (2004) The economics of buying complex weapons. Agenda: A Journal of Policy Analysis and Reform, 11 3: 247-264. Menezes, Flavio M., Pitchford, Rohan and Wait, Andrew (2003) Tendering and bidding for access: A regulator's guide to auctions. Australian Journal of Management, 28 3: 345-370. Menezes, Flavio M. and Resende, Marcelo (1996) Cointegration tests of purchasing power parity for the Brazilian economy: 1870-1906. Estudos Econômicos, 26 1: 51-62. Menezes, FM (1996) Latin America's economic future - Bird,G, Helwege,A. Revue Canadienne D Etudes Du Developpement-canadian Journal of Development Studies, 17 3: 555-558. Can game theory be saved? Menezes, F. and Quiggin, J (2007). Can game theory be saved?. In: O'Donnell, C.J., ESAM07. ESAM07 Australian Meeting of the Econometric Society, Brisbane, Australia, (1-15). 3-6 July 2007. Kao, T. and Menezes, F. (2007). Welfare enhancing mergers under product differentiation. In: O'Donnell, C. J., ESAM07. ESAM07 Australian Meeting of the Econometric Society, Brisbane, Australia, (1-13). 3-6 July 2007. Nepal, Rabindra, Menezes, Flavio Marques and Jamasb, Tooraj (2014). Network Regulation and Regulatory Institutional Reform: Revisiting the Case of Australia. School of Economics Discussion Paper Series 510, School of Economics, University of Queensland. Ryan, Matthew and Menezes, Flavio (2014). Public-Private Partnerships for Transport Infrastructure: Some Efficiency Risks. School of Economics Discussion Paper Series 499, School of Economics, University of Queensland. Menezes, Flavio, Dutra, Joisa and Zheng, Xuemei (2013). Energy Efficiency and Price Regulation. 495, School of Economics, University of Queensland. Kwak, Won Do, Menezes, Flavio and Sherwood, Carl (2013). Assessing the impact of blended learning on student performance. School of Economics Discussion Paper Series 494, School of Economics, University of Queensland. Menezes, Flavio and Ryan, Matthew (2013). Default and Renegotiation in PPP Auctions. 484, School of Economics, University of Queensland. Menezes, Flavio M. (2013). Market design for new leaders. Risk and Sustainable Management Group Working Paper Series: Australian Public Policy P13_4, School of Economics, The University of Queensland. Menezes, Flavio, Quiggin, John and Kao, Tina (2012). Optimal Access Regulation with Downstream Competition. School of Economics Discussion Paper Series 473, School of Economics, University of Queensland. Menezes, Flavio, Soderberg, Magnus and Santolino, Miguel (2012). Regulatory behaviour under threat of court reversal. School of Economics Discussion Paper Series 472, School of Economics, University of Queensland. Hamilton, Steven D. and Menezes, Flavio (2010). Embedded Incentives in the Funding Arrangements for Residential Aged Care in Australia. School of Economics Discussion Paper 416, School of Economics, University of Queensland. Camacho, Fernando T. and Menezes, Flavio M. (2010). Price Regulation and the Cost of Capital. School of Economics Discussion Paper 413, School of Economics, University of Queensland. Breunig, Robert and Menezes, Flavio (2008). An empirical investigation of the mergers decision process in Australia. Discussion Paper Series Discussion Paper No. 382, UQ School of Economics, The University of Queensland. Breunig, Robert and Menezes, Flavio (2008). An empirical investigation of the mergers decision process in Australia. 382, School of Economics, University of Queensland. Menezes, Flavio M. (2008). Consistent regulation of infrastructure businesses: some economic issues. 372, School of Economics, University of Queensland. Kao, Tina and Menezes, Flavio (2008). Endogenous Mergers under Multi-Market Competition. Discussion Paper 355, School of Economics, University of Queensland. Menezes, Flavio and Roessler, Christian (2008). Good and bad consistency in regulatory decisions. 376, School of Economics, University of Queensland. Camacho, Fernando T. and Menezes, Flavio M. (2008). Price regulation and investment: a real options approach. 373, School of Economics, University of Queenland. Camacho, Fernando T. and Menezes, Flavio (2008). Regulation and the Option to Delay. Discussion Paper No. 356, School of Economics, University of Queensland. Breunig, Robert and Menezes, Flavio M. (2008). Testing regulatory consistency. 380, School of Economics, University of Queensland. Kao, Tina and Menezes, Flavio (2007). Welfare Enhancing Mergers under Product Differentiation. Discussion Paper No. 350, School of Economics, The University of Queensland. Menezes, Flavio M. and Ryan, Matthew J. (2007). Coasian Dynamics in Repeated English Auctions. Discussion Paper No. 349, School of Economics, The University of Queensland. Breunig, Robert and Menezes, Flavio (2007). Maverick Firms: An Exploratory Analysis of Mortgage Providers in Australia. Discussion Paper No. 348, School of Economics, The University of Queensland. Camacho, Fernando T. and Menezes, Flavio (2007). The Contamination Problem in Utility Regulation. Discussion Paper No. 352, School of Economics, University of Queensland.